The area of family law involves deeply personal relationships, division of assets and custody and care of children and sometimes preparation of pre-nuptial agreements. 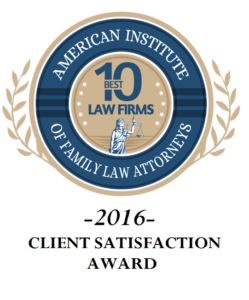 Our firm represents Clients who would like to begin or end their marriage. We draft prenuptial agreements and assist couples with terminating their marriage through divorce. We handle child custody, child support and post judgment modification and enforcement as well. Our firm also represents children, as their Attorney or as a Guardian ad Litem, during the pendency of their parents’ divorce or custody action. For more information about our family law services please contact our office.